Spit that roast but BBQ that lamb, beef, steaks, pork and fish . . . The BBQ is such a versatile piece of equipment and it constantly amazes me that many people have one but few use it to any where near its capacity. Steaks and sausages seem to be the norm, but what about all those other foods? I will be covering all these foods in the coming weeks, with recipes and tips. But this week I thought I would start with a leg of lamb, well I am a Welshman in New Zealand! Don’t have a BBQ? Its not BBQ weather where you are? It decides to rain on the day you decide to throw a BBQ? Not to worry, these recipes will also suit cooking on the grill in your kitchen or in the oven. Its amazing what a little imagination will do, just throw an indoor BBQ party with blankets and cushions on the floor in the dining room! I myself have just purchased an amazing little BBQ from Canada; it is well constructed and designed, portable, heats up to cooking temperature in just a few minutes with a battery powered fan and best of all it uses wood as its heat source. I am passionate about BBQ’s using wood; it imparts wonderful flavours to the food. I really do not see the point in gas BBQ’s, dead charcoal ones etc, one might as well cook inside on the stove. Sure they look great, are convenient and easy to clean but at what expense? The expense of the true flavours of barbecued, I say. But to each their own I suppose. With this new purchase of mine, it has all the conveniences of gas etc but allows the foods cooked to have the true taste of BBQ, to have that unique smokiness in flavour and if I need to, I can cook with it indoors. It gives off little or no bottom heat, so I can place it on the stove and with a window open the little smoke it gives off is no problem . . . indeed it adds to the occasion by adding a luxurious aroma everywhere in the house. Where did I find this little gem? . . . from one of those infomercials of all places! I was up late typing some recipes one night and on it came . . . all too good to be true, I thought. But for $NZ150, ($US75 or £50) I thought what is there to lose? It arrived, I tried it and it worked as advertised. So my first piece of BBQ advice is get a good one to start with. Go for a wood burner, forgo a little convenience, suffer a little cleaning up and you will start to explore and enjoy the flavour that is wood. 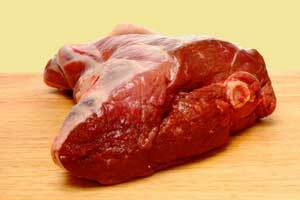 If you are not proficient at doing it yourself, have your butcher butterfly the leg a lamb. This entails removing the bone and opening it right up so it lays flat, (it should not be more than 5 cm thick) this allows for the quicker cooking of a BBQ. I like to then cut deep slits into it to allow even deeper and quicker heat penetration. Place on the bbq, (high heat) and cook for 10 minutes with the lid off and then 30 - 40 minutes with the lid on and at a lower heat. Adding a layer of finely cut/sliced vegetables to the lamb before wrapping it, can add greatly to the presentation, when you open it up in front of your guests. Enjoy your Butterflied Leg of Lamb and bon appetit . . . . .